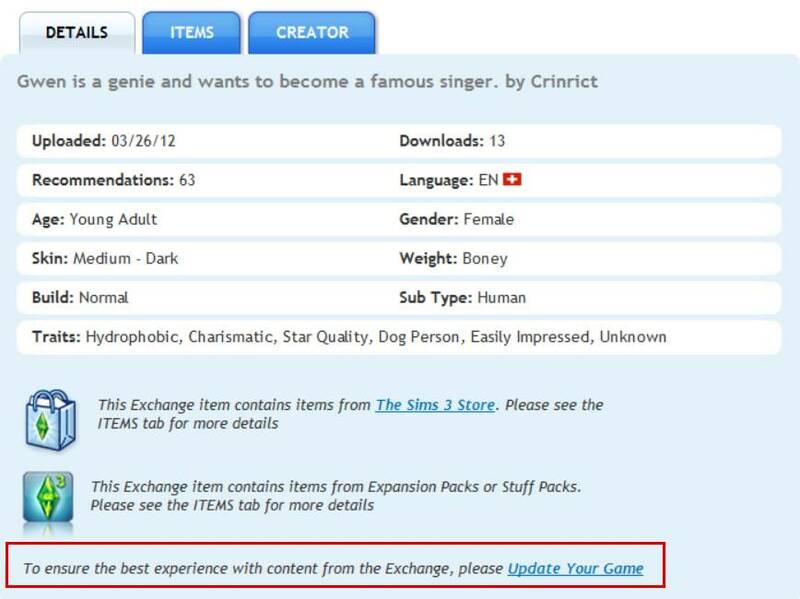 Downloading houses and Sims from the Exchange and other pages can have unwanted custom content attached to it. Those are Sims3Packs since package files do not spread that way. Because of this, you need not fear to get mods in your game through another file. Unfortunately it’s very easy to get bad custom content that make your Sims look horrible. On the positive side, all downloads that get installed this way, can be found in the launcher where you can uninstall them. On the negative side, you can’t tell from the launcher if those downloads are good or bad. This often only shows after extended playing and once you do it’s difficult to find the culprit. Often the picture in the launcher looks nothing like the download does in CAS and there’s no option to uninstall it from CAS. Since package files don’t spread that way, people downloading stuff are disappointed if a cool new hairstyle or piece of clothing, that’s shown on the exchange picture, did not come with the Sim and suddenly looks boring and plain. If that happens, check the blogs or download if there’s any information on what package files were used. Then separately install them. 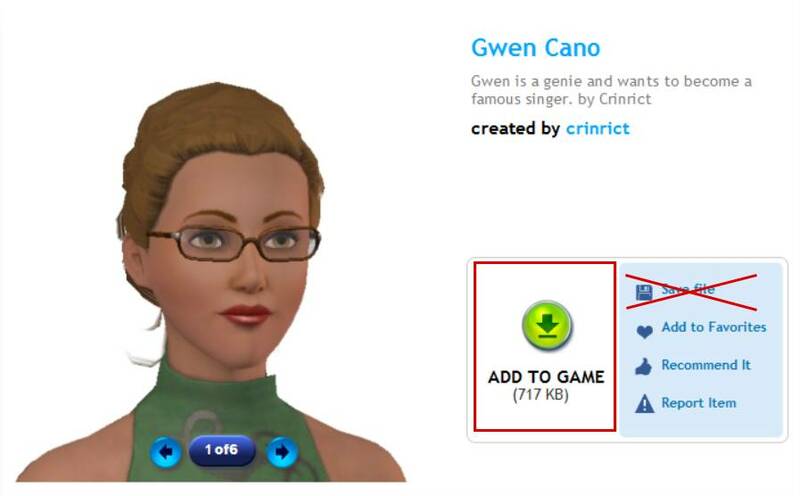 If you have the download, the Sim will use it. After downloading a Sims3Pack you should never directly install it. Add to Game does not directly install the content anymore as long as you have your game closed and you don’t install something else at the same time. The Save As Option often corrupts file and should not be used. You can then find the file in user directory\downloads and from there you can be checked. Download Custard (aka CleanInstalled) by Delphy. With this tool you can check all files and then you can decided if you want to install the stuff. You can also clean the file from unwanted stuff. My game is updated. Why does it say Update your Game ? When you download Sims and Houses from the exchange, the website shows you which Store-Items and which Add-Ons are necessary for the download. Sometimes it says please Update your Game. This notice is there for everyone as soon as the download needs a certain patch to install. Some Store content only works if you have a certain patch level. This message means nothing if you are patched to the newest patch level. The browser does not check your installed game version.